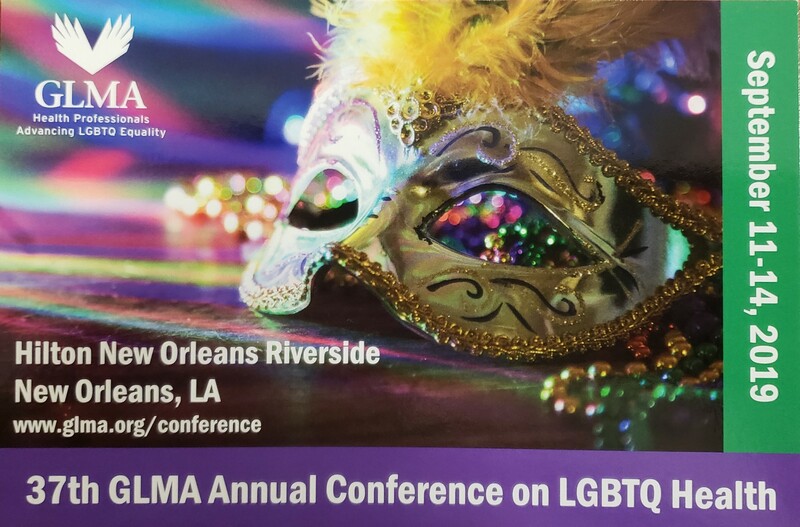 Until the first GLMA Nursing Summit in Denver in 2013, there was no space where we could openly and proudly convene together, and discuss issues related to our own lives, much less our concerns for the broader area of LGBTQ health – a topic still rarely mentioned in any nursing context (although this is getting better!). But we were always “there” – eagerly watching for any signals to indicate there were other LGBTQ nurses around, and treading very lightly to see if we could exchange signals that indeed we were connected by our still-“secret” identities! I recall going to nursing conventions and conferences, where the unspoken “hidden” lesbian (sometimes inclusive of gay men) gathering was happening in the conference hotel lobby and/or bar. The group was easily identifiable – women mostly in typical nursing-convention attire, with a few actually wearing comfortable walking shoes, and a scattering of two-somes who, when you looked closely, carried matching handbags, or the same shoes, or some other attire that marked them as a couple. But most notable was this group of nurses were raucously enjoying being together! Our identities were never openly acknowledged, and our straight friends who would stop by to say “hi” did so discreetly, perhaps striking up a brief conversation about good places to eat near the hotel (we always knew the layout of good eateries better than most!). Of course anyone was welcome to join us, and occasionally someone who was not known to any of the group would do so, only to very uncomfortably withdraw when the palpable intensity of our connections and friendships became too overwhelming. From time to time several of us would fantasize being able to have our own organization – we knew there was at one time a group of gay men who were organized, but they were difficult to locate and connect with, and besides, most of us were not brave enough to openly disclose our interest in such a project. A few of us came close when we established Cassandra: Radical Feminist Nurses Network, but our tensions around being lesbian-identified were more enormous than we realized at the time – a topic Elizabeth Berrey and I recently wrote about in an article for Sinister Wisdom (Chinn, Peggy L & Berrey, Elizabeth R (2014) Cassandra: Lesbian (non)Presence in Nursing. Sinister Wisdom, 92, (Spring), 50-64). But now here we are in 2015 – already building a history of LGBTQ nurses coming together, along with our fabulous straight friends and allies who are more than willing – eager – to join with us in celebrating our identities openly and joining in the important work of addressing the health needs of LGBTQ people everywhere! I am so excited to see everyone who can be in Portland for our Summit this year! And I know that there are dozens of others who cannot be there in person, but will be with us in spirit! We have important work to do, but we also have an urgent need to come together to make the cultural and social changes in nursing and health care not only for those we serve, but indeed, for ourselves! Our own growth and healing has taken a new turn, and we are indeed beginning to flourish! More power to us!